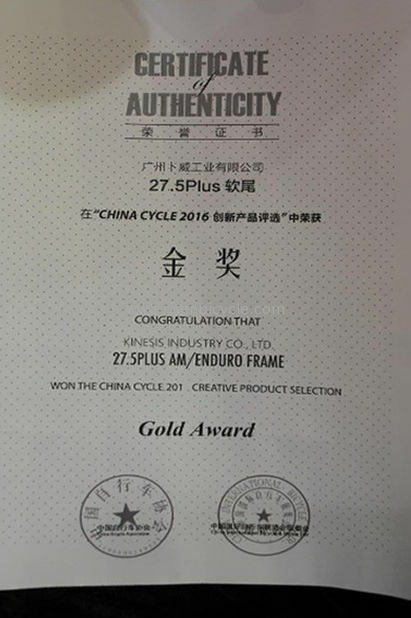 1)Golden Award in Shanghai Bicycle Show 2016. 2)This frame apply Kinesis SPF(Super plastic forming technolgy) and RMW(robot-man welding technology. 3)164mm wheel travel with shock size 216x63mm. Its pivots bearings are Euduro Premium ones from America. 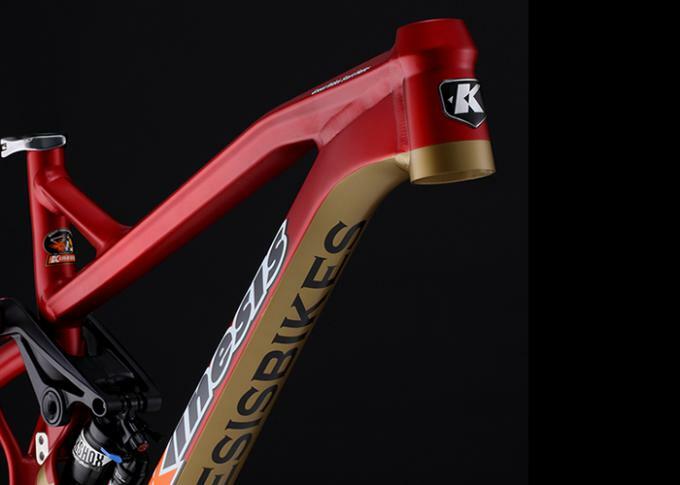 4)Fork Applicable is 160-180mm. 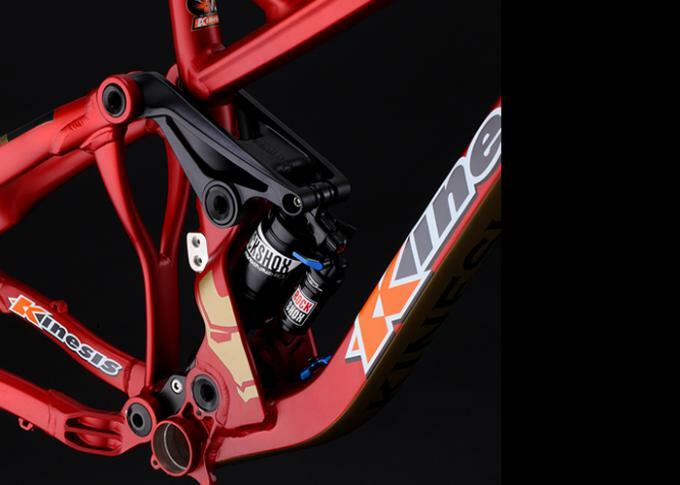 It is an enduro and freeride suspension frame. 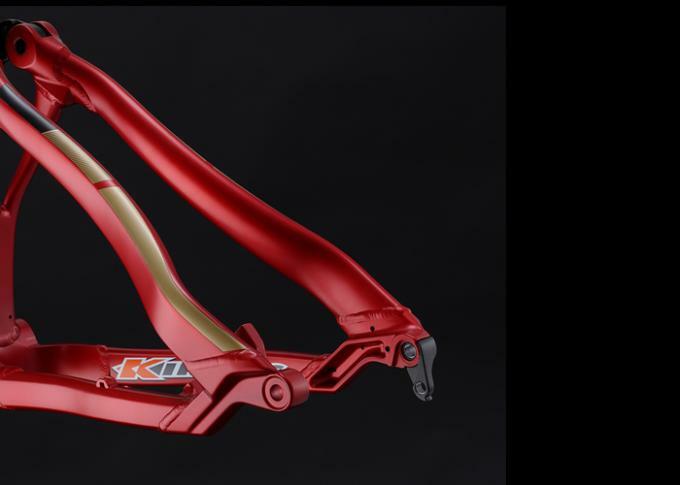 There are not so many good freeride frames in market. At the price!!!! 5)OEM/ODM orders are acceptable with customer's logo for order of 100-200 units. 7)Warranty: 3 years for warranty.